Address: 80 Middle Rd, #01-88/89, 188966 Singapore. 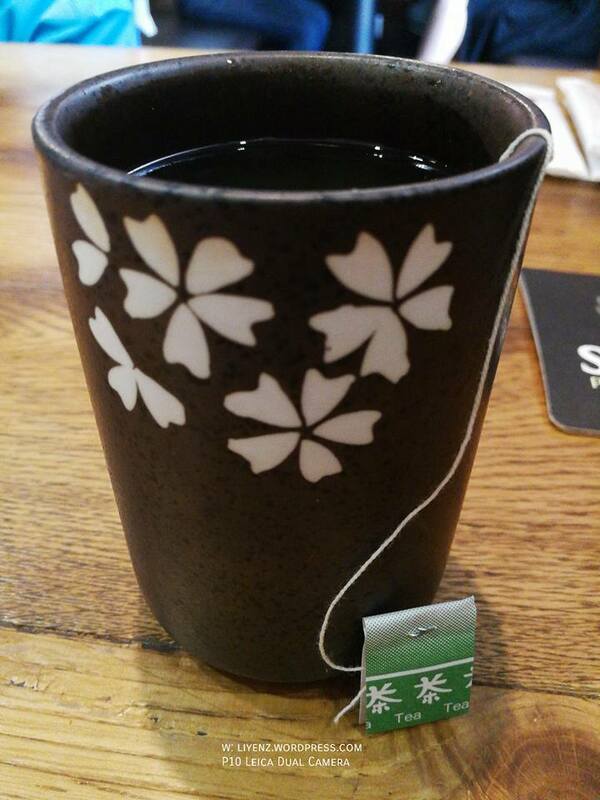 I visited this Japanese restaurant earlier this month, hours before my half marathon with my cousin and my aunt. I asked my friend for a suggestion of Japanese restaurants in town with reasonable price. She told me to go Sumire Yakitori House, which she brought me here last year after my NUS’ event. We chose from the set lunch menu. 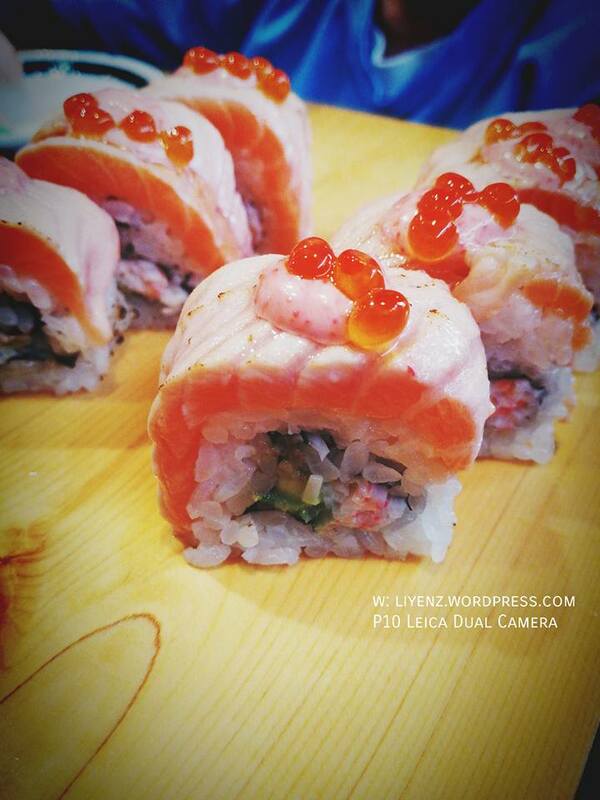 We added ala-carte flame-seared salmon sushi rolls and hot green tea. 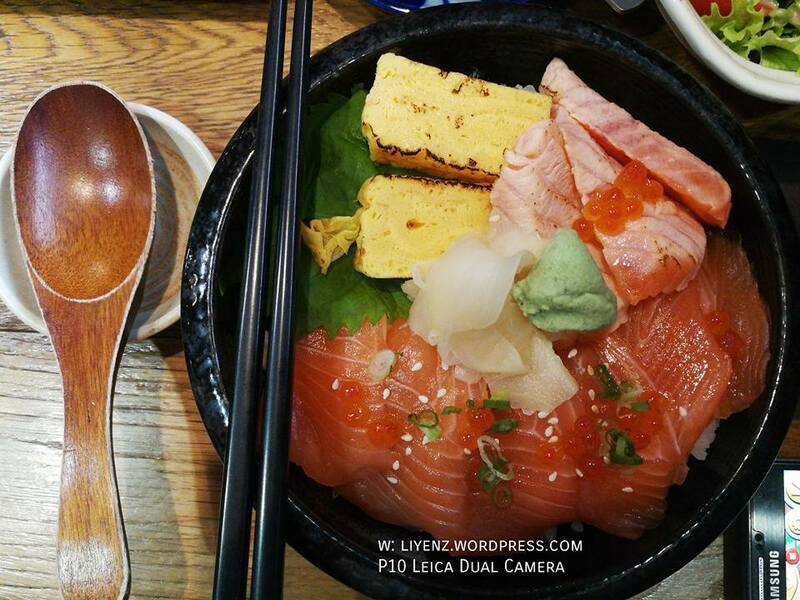 It consists of sushi rice bowl with sushi sashimi, flame-seared salmon, salad with shredded chicken, chawanmushi and miso soup. The set lunch serving is generous and filling. The salmon is fresh. 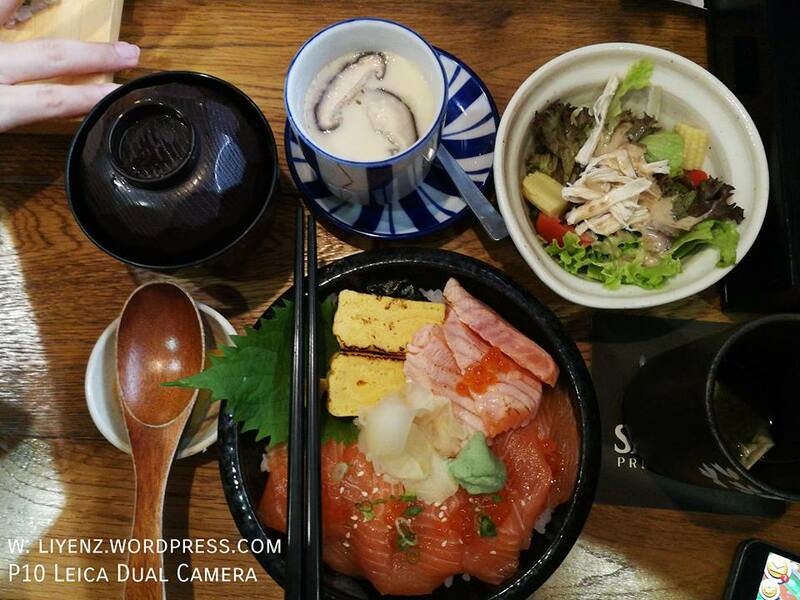 The chawanmushi, miso soup and salad are the common Japanese side dishes.